One of the best aspects of adventuring - no matter how small those adventures may be - is meeting new people. Occasionally those new acquaintances become friends. Ren and Sharon head off to bother a new friend then bother some family too. Prologue - Friends And Family 2017 Ren is setting the scene for the trip to that there "daaaan saaaaf" place. 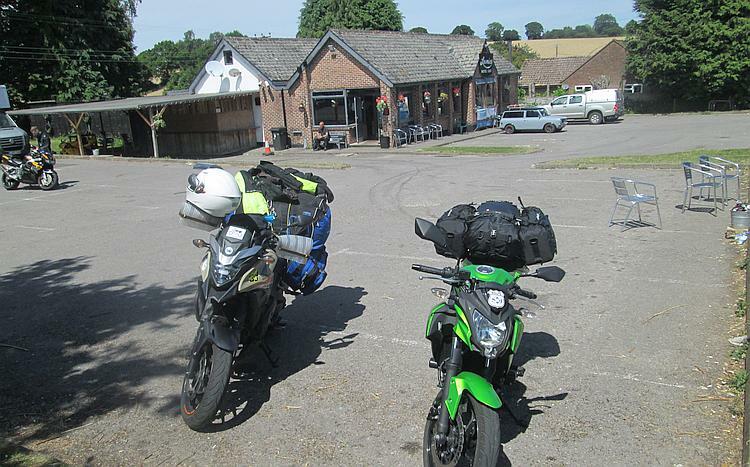 He's also wondering what kind of person would ask 2 itinerant motorcyclists over for a couple of nights. Crawling To Sleaford Ren finds it odd to be riding in sunshine on a Wednesday with Sharon. Frustratingly though the traffic puts paid to any plans of motorcycling pleasure. Dawdling To David's It's a lazy ride through Lincolnshire and Norfolk today despite the antics of other road users. Cromer turns out to be quintessentially English. Time With David There's no motorcycling today but fear not there's a guided tour in a classic car instead. They say variety is the spice of life. Time With Dad The miles fly by as does the chill out time at Ren's father's place. The Cotswolds As Sharon and Ren return home they stop in The Cotswolds. It's as pretty as the promotional pictures so what's Ren got to gripe about this time?